The Ottoman Empire had entered WWI on the side of the Central Powers (Germany and Austro-Hungary) to counterbalance Russia, which had designs on the Straits of Dardanelles and was conspiring with the Balkan nations, former vassal states of the Ottoman Empire, to expand into the empire. The Ottoman Empire’s offensive in the Caucasus region of Russia was a humiliating failure. Alarmed by the presence of Armenian units fighting for Russia, the Ottomans reacted with forced deportations of Kurds and Armenians to remove potential supporters of a Russian invasion, which resulted in a death toll in the hundreds of thousands. Following Britain’s declaration of war against Turkey on November 6, 1914, the British Indian Expeditionary Force (IEF) captured Basra in Mesopotamia on November 22 to protect Persia and the vital oil refinery at Abadan. Impressed by the ease of the British victories, an ambitious General Sir John Nixon sent an army to capture Baghdad but it was over-extended and forced to surrender at Kut on April 29, 1916. The Mesopotamian campaign had been considered a sideshow until the national shame of a British army marching into captivity drove the British government to take the campaign more seriously. Lieutenant-General Sir Stanley Maude, the new commander of the British Indian Expeditionary Force (IEF), waited until he had an army of 150,000 men. The campaign consisted of gradual attacks against an endless series of trenches in featureless terrain that produced a mind-numbing monotony but the strategy proved effective and Baghdad fell on March 11, 1917. Captain Michael Andrews (Cary Grant), a captured British officer, is freed from a Turkish prison by John Stevenson (Claude Rains), a British intelligence officer. Stevenson wants to warn the Balkari tribe to move before they are attacked by the Kurds, Turkish allies, who will use their cattle and land as a base to attack the British in Mesopotamia. 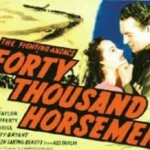 Injured during the trek, Andrews is sent to a hospital in Cairo, where he falls for Rosemary Haydon (Gertrude Michael), his nurse, who waits until Andrews asks her to marry him to reveal that she is already married and that her husband has been missing for the past three years. 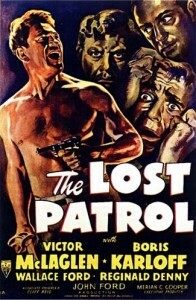 The missing husband is Stevenson, who suddenly shows up in Cairo. When Haydon tells Stevenson that she loves Andrews, he snaps. Learning that Andrews had been assigned to command an armored car unit in the Sudan, Stevenson arranges to be sent there as well. Andrews’ unit is trapped in a fort, and Stevenson makes his way to the fort shortly before the locals attack, so the two officers must put aside their differences to survive. Although the Turkish officers in the movie dispose of enemy officers by having them executed by their Kurdish allies, the Turks usually treated captured officers well. Moreover, the British intelligence department wished that it could have inserted a British intelligence officer inside the Turkish army. The Kurds are shown as vicious, uncontrollable savages, who murder unarmed civilans for sport, and are barely controlled by the Turks, but this is a bizarre reversal of the actual situation. Unwilling members of the Ottoman Empire, the Kurds had launched an uprising in 1880 to gain a separate homeland, Kurdistan. The uprising had been brutally suppressed and stability had been ensured through the co-opting of Kurdish leaders into the Ottoman government. However, Kurdish nationalism remained a potent force when Turkey entered WWI as a German ally. Fearing that the Kurds would support the Russians, the Turkish government decided to err on the side of caution by deporting hundreds of thousands of Kurds from their homelands, and spreading them out in small communities in Turk-dominated Anatolia. Close to 700,000 Kurds were moved and possibly half died during the marches. Admittedly, there were irregular Kurdish cavalry units that were loyal to the Ottoman Empire, but they were primarily used against Armenians. Little in the movie makes sense. In fact, it seems as if the screenwriters were given stock footage of mountains, African jungle and the desert, and told to write a story that involved those areas. While the scenes of the tribe trekking over swollen rivers and snow-covered mountains to prevent an attack on Mesopotamia are attractive, the whole operation would have been completely unnecessary since the Turks and Germans had already completed a railroad that linked Berlin and Baghdad, and the route passed directly through the Kurdish homelands. The silliness of the mountain trek is rivaled by Andrews’ decision to take his garrison from the fort with high, solid walls in order to take a short cut through dense jungle to warn the relief column of an ambush by tribesmen armed with spears and a few rifles. The story is a bit dark and could have been darker. A bitter and depressed Rains goes crazy but not crazy enough to be interesting. Cary Grant can not play a cad, so his character nobly ensures that he and Rains part as friends. 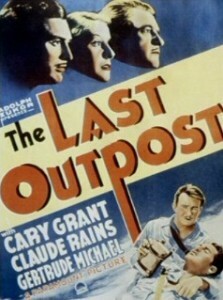 It may be hard to imagine a boring movie starring Claude Rains and Cary Grant, but The Last Outpost succeeds. The scenery is stark but stunning, even if filmed in black and white. The main scenes were filmed on a Hollywood ranch in California. All of the location shooting is actually taken from an earlier silent version (presumably the 1924 film The Drum, based on the same book) which had had a much bigger budget. Filmed at a faster speed, the scenes are gorgeous but disconnected from the main scenes. The movie has almost nothing to do with WWI, but there is a wicked scene with hippopotamuses, as well as an excellent elephant stampede. Basically a romance melodrama with uniforms, the stunning location scenes are not matched by the screenplay. 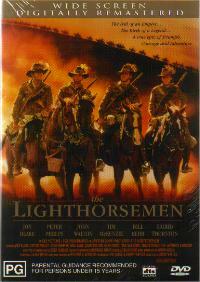 It is more of a western than a WWI movie, and the cavalry literally saves the day. The Dawn Patrol Viva Villa!